Our latest Ottawa development is SoBa. 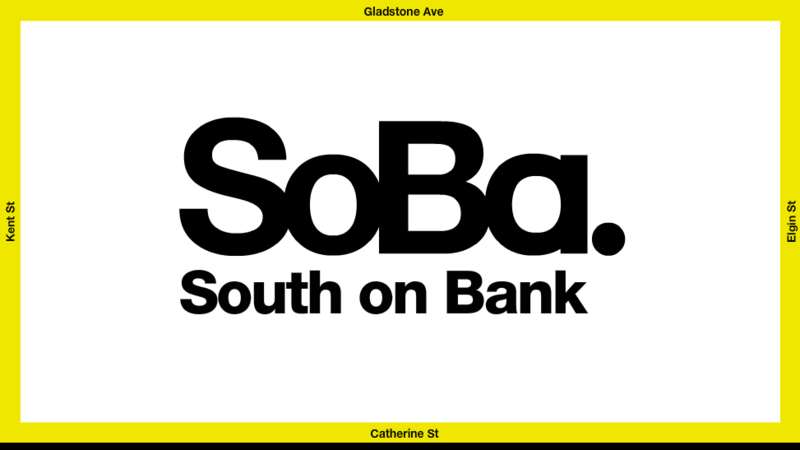 ‘SoBa’ stands for South on Bank, and it defines the area north of the Glebe (and the QE), west of the Golden Triangle, and south of Centretown. Our project sits on Catherine Street in the heart of the area in an area we defined as ‘SoBa.’ It is both a neighbourhood and a project. SoBa is spectacular; designed in black brick; it consists of four boxes sliding over each other creating a playful and clever modern aesthetic. Over 90% of all suites have large balconies and because of the historic overlay to the north, and the low-rise Glebe to the south, the views from most suites are spectacular. Once again, interiors are one-of-a-kind awesome. IIxIV Interior Design has come up with a private, members-only clubby atmosphere that inspired the 6th floor Sky Garden Club featuring the west-facing outdoor pool and cabanas with all-day sun. Indoors, we offer a stunning lounge and gym facilities. There is no welcome home like the one awaiting a resident and our spectacular lobby. This area that we have named SoBa is one of the last frontiers in Ottawa’s downtown Centretown district. Our naming of this part of Centretown as `SoBa` of course is all meant in fun, and part of an overall marketing program to brand our building. With the recent move to rezone a major portion of Catherine Street centred on the north-south artery of Bank Street to 25 stories, residents can expect big changes south of the Queen Elizabeth. SoBa is the second parcel on Catherine to be officially rezoned to high-rise status. Several months ago, the Catherine Greyhound Terminal received a 25-storey rezoning. A few weeks ago, SoBa won its lightly contested OMB hearing and has been approved for 23 storeys. I believe the 4-5 blocks north of the Queen Elizabeth will catch fire with multiple new condo developments and exciting retail announcements. Regardless of the name, this little pocket of Centretown will be the next hot neighbourhood to live in Ottawa; its central convenient location being augmented by great new opportunities. In short, we are very proud and excited about our latest Ottawa offering. We have put our best efforts into SoBa and hope that you will fall in love with our hard work. SoBa sales office will open this fall, featuring 1 + den model suite. SoBa is priced from $179,900 and features 1 bedroom, 2 bedroom, and penthouse suites. For more information, please visit www.sobaottawa.com or call 613.257.8887.